Shroff is the author of three books: Breathless in Bombay, a collection of short stories, rated by the Guardian as among the ten best Mumbai books; Waiting for Jonathan Koshy, a postmodern novel which qualified as a finalist for the prestigious Horatio Nelson Fiction Prize in New York; and Fasttrack Fiction, a book written specifically for the cell phone reader. Shroff publishes extensively in the U.S. and UK with premier literary journals and has been invited to speak about his work at universities such as UC Berkeley, UCLA, and the University of Southern California. His work approach and contributions have been acknowledged and featured in a book titled “The Parsi Contribution to Indian Literature,” published by the Sahitya Akademi. It is also available in Australia, New Zealand, Japan and a host of other countries worldwide via their Amazon websites. I have been advised that putting the book on Kindle would enable easier access and thereby increase its readership. I really hope this will be the case. Accessing the book has certainly just been made easier; you may even purchase a Kindle copy and directly gift it to a friend. Thank you for your continued support. And do inform your friends and contacts. The book, ‘Zenobia Mistri, Teacher Par Excellence’, was the focus of a gracious event organised in Mumbai on 12th February 2019. Shireen Isal, the author, read extracts from the biography, followed by a Q&A with a small but enthusiastic audience. The event, arranged by Mehli and Saker Mistri and moderated by Firdaus Gandavia, Ph.D English Litt., was attended by, amongst others, students of Zenobia Mistri, one of the most iconic teachers of French language and literature in the Mumbai of the last century. There were moments of nostalgia, when many of those present recalled their teacher with affection. Moments of humour too at her lovable eccentricities. But, above all, an all-round acknowledgement of her immense teaching talents, from which scores of students over five decades greatly benefited. Teachers devote their lives to the cause of their students’ education and well-being, moulding and framing who they are without their even realising it. Zenobia Mistri was one such teacher and this was unanimously acknowledged at this reunion. The get-together around Shireen Isal’s book, ‘Zenobia Mistri, Teacher Par Excellence’, was at the residence of Mehli and Saker Mistri, ‘Belmont’, Dubash Marg, off Napean Sea Road, Mumbai 400 006. Mehli is grandson of Zenobia Mistri and has related how Zenobia as a teacher literally transformed his life. ‘Zenobia Mistri, Teacher Par Excellence’ is available at www.parsiana.com & in the Parsiana bookshop, Fort, Mumbai (in India); www.amazon.co.uk (in U.K. & Europe) andwww.fezana.org (in USA & Canada). From Mumbai to Dubai to Bollywood to Hollywood by Rustom Mistry. Published in 2018 by Notion Press, Old No. 38, New No. 6, McNichols Road, Chetpet, Madras 600001. Pp: xiv + 108. Price: Rs 200. 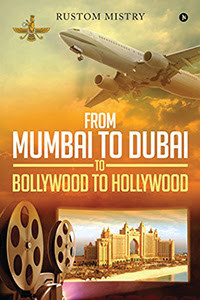 In his memoirs entitled From Mumbai to Dubai to Bollywood to Hollywood Rustom Mistry gives a very factual account of his childhood in Bombay, his job and life in Dubai and his countless roles in Bollywood rising from a background crowd model to a character actor and finally his role in a Hollywood production. Mistry makes it clear in his preface that this is not a work of fiction and is a truthful and honest account of his life. Some editing would have helped as what is significant for an author may not interest the reader.. There is nothing really memorable about his childhood which is narrated in too much detail and in flat prose. A resident of Malcolm Baug in Jogeshwari, he attended the St Blaise’s High School which was located near the Filmalaya Studio. Mistry devotes several pages in describing the usual childish pranks, driving his car surreptitiously while he was still underage, cycling with his friends without informing his parents, visits to the cinema hall which seem to be an obsession with Mistry since childhood. His next stop was Dubai where he worked successfully for several years and drove fancy cars, till he was forced to return to India as a result of the Gulf war and personal circumstances. Then follows a never-ending laundry list of all the films in which he has taken part. Often titles of films and roles he has played are merely mentioned without any anecdotes to make them interesting. Whereas it is evident that Mistry holds Bollywood actors and actresses in great awe and respect but the constant practice of following their names by “saheb” and “ji” as well as the repeated reference to him and his friends as “devils” or the strange expression, “with due respects to everyone” becomes a bit repetitive and monotonous. The most interesting part of the memoir are the difficulties he faces as a minor actor and the demeaning and atrociously inhuman behavior meted out to him. He is called for shoots at unreasonable times, made to wait for his turn for hours. Very often he is not paid by unscrupulous coordinators and has to make repeated calls for his payment; the coordinator frequently shuts off his cellphone or does not respond to his calls. On one occasion, fairly late in his career when he is in his 60s, to get his dues, he had to wait at the bank from 10 a.m. to 2 p.m. when rain was pouring and he was running a temperature; the amount, he wryly remarks, has yet to be received. Mistry describes two similar incidents vividly and in great detail when he was shabbily treated. When a leading actor suddenly could not be present for a shoot, a coordinator called Mistry and asked, at short notice, to step in. The appointment was for noon and Mistry waited patiently to be called but none was forthcoming. Finally, when lunch was served at 2.30 p.m. on a “beautiful buffet table,” he was stopped and curtly informed that he could not eat with the other actors even though several other background crowd actors were helping themselves at the table. He was led down a narrow pathway to a spot where “the film’s miscellaneous workers, like carpenters, painters, light men, helpers, etc were already having their lunch.” Mistry went on a hunger strike and refrained from eating. On one of the occasions, Mistry went off in protest and refused to return to the set, in spite of several calls from the coordinator as well as the production team. It is this glimpse into the life of a small-time actor, narrated without bitterness or complaint, which makes the memoirs interesting. A Toronto woman has written a book about her struggles with an eating disorder, recovering from a car crash and two strokes, hoping her challenges will inspire other women. 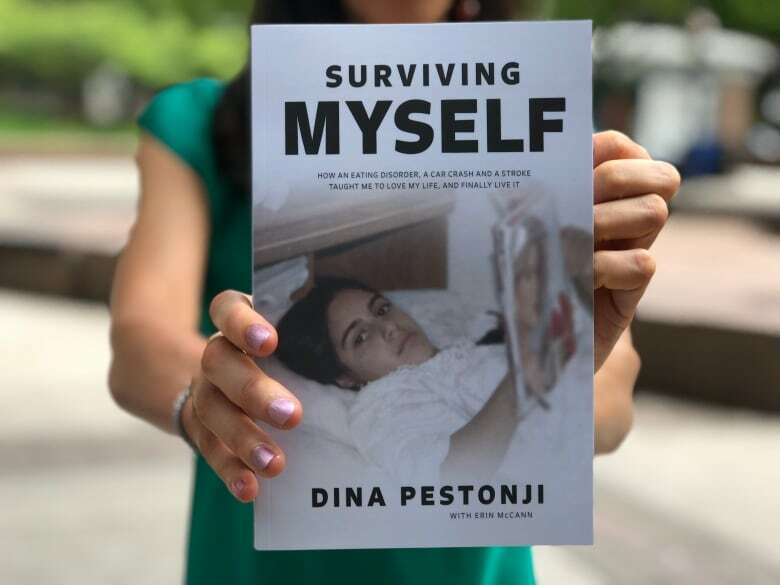 Despite having plenty of love and affection from her family, Dina Pestonji, now 35, still felt different from other girls with “pale skin and blue eyes,” according to her book, Surviving Myself. The book explores her ensuing decade-long battle with anorexia, a near-fatal car crash and a pair of strokes that nearly crippled her. Pestonji has gone on to give two TEDx talks and is now a motivational speaker. Pestonji says she did not talk about her issues as a child, in part, because of her Indian heritage. Despite graduating from the University of Toronto and later earning her master’s degree at ESCP Europe Business School, as well as successfully working in the financial sector, it wasn’t until she suffered two strokes at the age of 29 and wrote about it that her worldview started to change. In late 2012, Pestonji was hospitalized after she started slurring her speech, and got severe headaches and shooting pains along her entire body. Doctors found a mass in her brain. She was in hospital for a week undergoing tests, but the physicians could not pinpoint what was wrong. Pestonji was sent home with medication. The next day, the first day of her new job, she was hospitalized again. When Pestonji eventually awoke, she had lost her speech and ability to function on her right side. “It was a month or two after when saw myself in the mirror and I remembered I had a job, a condo, everything,” she said. 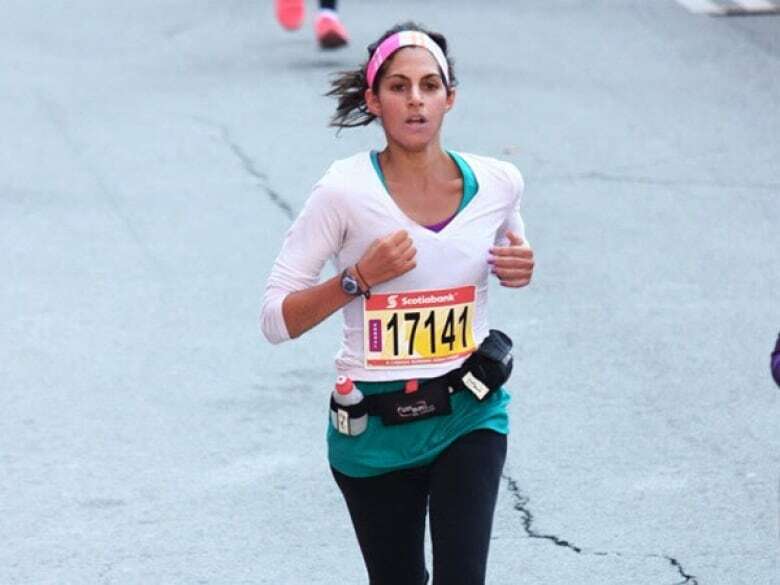 When asked how she went from learning the alphabet and how to walk again to running a half marathon merely 10 months later, Pestonji is humble. “I needed to be myself again and show myself I could do it,” she said. She credits having a loving family and friends and a team of physical therapists who pushed her. “I was lucky to have a supportive team. I’ve never thought anything I’ve ever done is really remarkable,” she said. “I was given a circumstance and my body and mind worked together. I’ve learned to love myself and be kind to myself which I never was before.